The Hickey lab conducts discovery and applies research on Australia’s most important cereal crops – wheat and barley. The Hickey lab’s research is focused on key abiotic and biotic factors that limit grain production, as well as development of novel breeding tools and methodologies. “The human population is expected to reach nine billion by the year 2050 and will strain global resources. 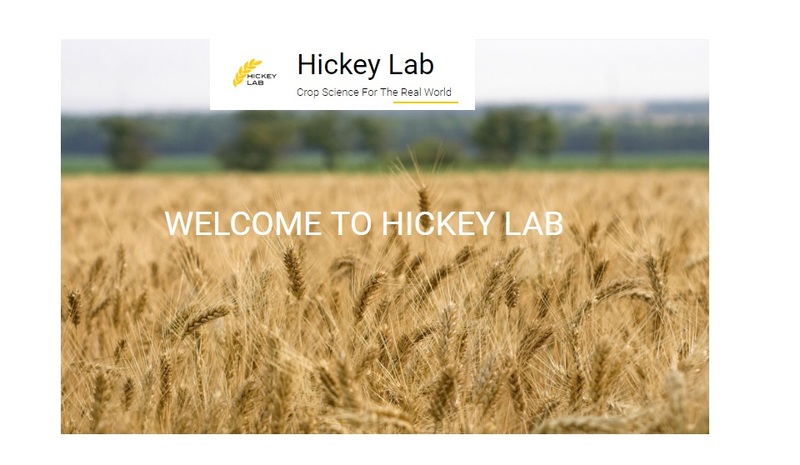 The efficiency of crop breeding must improve if we are to develop resilient varieties that maintain productivity and meet future demands” (The Hickey lab challenge) . “Modern breeding and a switch to monoculture cropping has greatly improved yield and quality, but the lack of genetic variation has caused crops to become more vulnerable to new diseases and climate change. Diversity in ancient strains could hold the key to the future”, - Queensland Alliance for Agriculture and Food Innovation’s Dr Lee Hickey. Scientists from the University of Queensland are undertaking world-first research into ancient wheats to ensure the crop’s future. The Hickey Lab research group is situated within the Queensland Alliance for Agriculture and Food Innovation at the University of Queensland, Brisbane, Australia. The Hickey research team develops novel pre-breeding germplasm with adapted genetic backgrounds, along with validated marker-trait associations. The Hickey lab’s genetic studies improve understanding of gene effects, trait interactions, and interactions with specific environments. Such information and tools better equip breeders to assemble improved cultivars for farmers. The Hickey Lab germplasm pipeline takes advantage of large nested-association mapping (NAM) populations, speed breeding technology, high-throughput phenotyping methods, and genotyping-by-sequencing (GBS) marker platforms. Yield, grain quality, tolerance to abiotic stress and disease resistance are important, yet challenging targets for breeders aiming to improve wheat productivity. Crops are often affected by terminal heat and drought stress, and an array foliar pathogens including; leaf rust, spot blotch, spot form of net blotch, net form of net blotch and powdery mildew. Historical germplasm, such as landraces represents a potential source of valuable genetic variation. This material is stored in gene banks, and represents over 850,000 viable wheat samples in 229 independent collections preserved around the world. The diversity panel was genotyped with 56,000 DArTseq DNA markers. The Hickey Lab research, ‘Into the vault of the Vavilov wheats: old diversity for new alleles’, is published in Genetic Resources and Crop Evolution. Please contact the Hickey Lab with any questions or comments you may have.